I can fix your hook or your slice!" Why choose Golf YOUR Best Golf School? Do you find yourself near the green in two or three shots just to three or four putt the hole? Statistics tell us that approximately forty percent or more of our golf score is attributed to putting. Since putting comprises nearly half the score, spending time on the practice green would surely improve your results on the course. 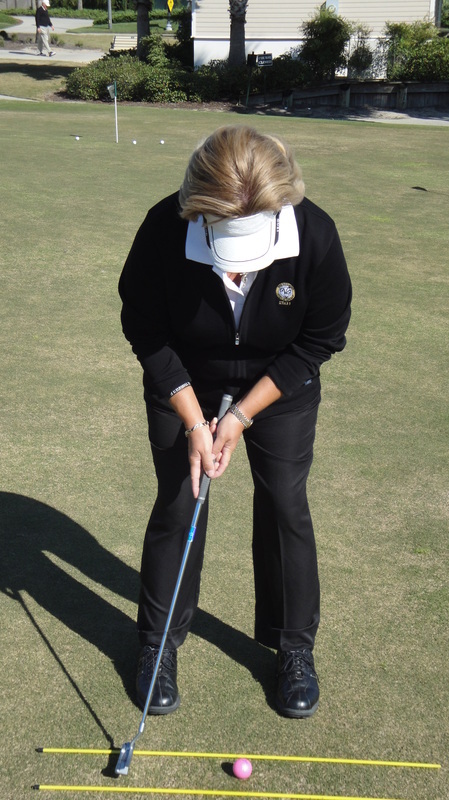 When practicing your putting, begin by focusing on your setup. In order to make an efficient motion that is repeatable your setup must be consistent and effective. 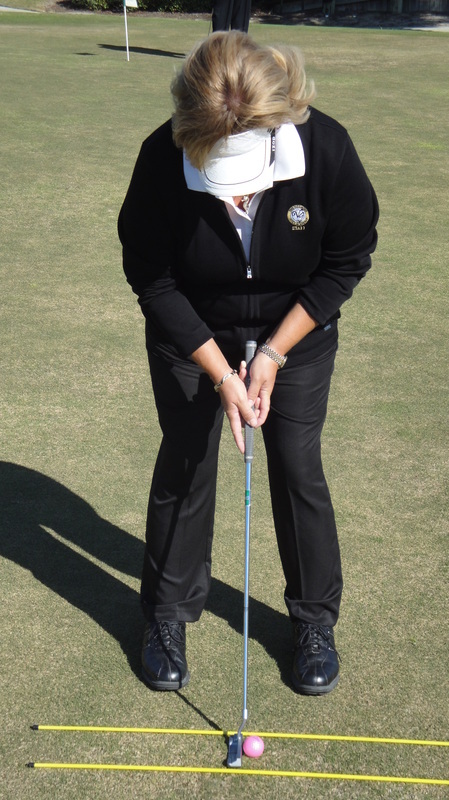 ·Clubface -Keep the putter face square and on path throughout the entire stroke (perpendicular to your target line at impact and at finish). ·Tempo - Accelerate the club head through impact maintaining a smooth and rhythmic tempo. Incidentally, your ability to “feel” impact is improved when you remove your glove. Now that your setup is consistent and your putting stroke is solid, you can begin to practice distance and direction control. There are many drills available to help you with these two important components of putting to make learning fun and increase retention. Remember to maintain your posture and hold your finish after each stroke to help evaluate your clubface position at impact (Figure 3 and 3a).